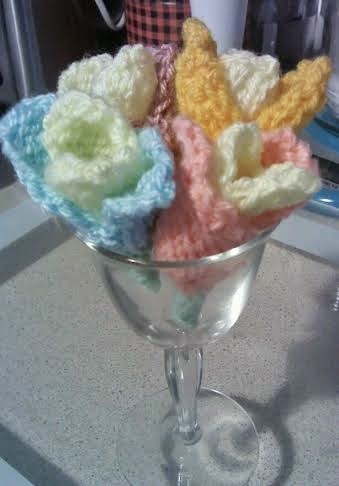 Yes I have been knitting Tulips and they are really easy to make. 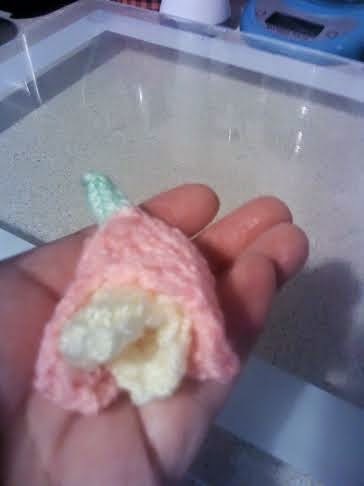 I emailed them for the pattern and started knitting. Like I said they are easy to do and a great way to use up odd bits of stash that are not big enough for much else. All of these will be sent off during the coming week and I will be making other things for a while. I will need to find out how much postage it will cost before I make any more as I am finding postage expensive and will limit what I post. 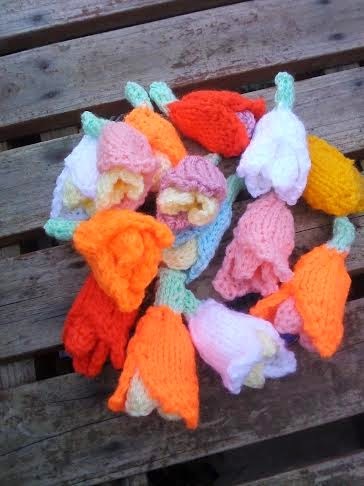 So I am on the hunt for local Charities that may want some knitting done so I can either take it them on the bus or they can collect from me depending on where they are. The Hospital as no need for any more baby blankets as they have a large amount the same goes for Chemo caps, shawls or blankets. The Salvation Army may want scarves or blankets but have a lot at the moment so I am still looking a round. The Cat Protection League may be a good idea and I have sent them an email. I am sorting out a few patterns so I can decide my next project.